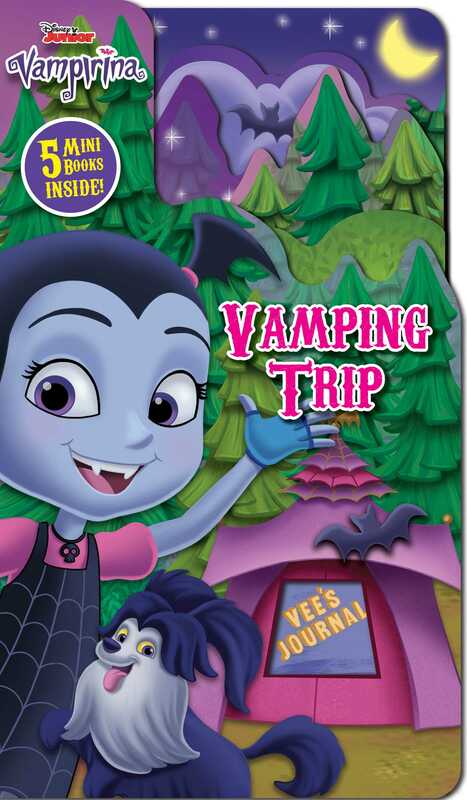 Head into the woods with the Vampirina and the Hauntleys in this spooktacular story with five embedded mini-books in one fun format! When the Hauntleys take the Peeplesons on a spooktacular camping trip, batty blunders abound! Edgar is on the hunt for a picture of the elusive Bigfoot, but with the mischievous Wolfie along for the trip, he might get more than he bargained for. This layered and shaped board book features mini paperback books embedded on each spread to extend the time sharing scary stories around the campfire.